Ski Report, Ski Weather, Snow Conditions Worldwide - SnoNews - Headin’ Up The Hill: Rare And Unique Lifts In U.S.
Let’s start with rope tows. Not many left of the original mode of uphill transport, first at Gilbert’s Hill in Vermont. All you needed was an old car engine at the top, some pulleys and a long thick rope. Chapman Hill, the town slope for Durango, has only ever had rope tows. But get there soon, because the city is thinking about a newer-fangled lift. In Alaska, the Kachemak Ski Club runs nonprofit Homer’s Rope Tow – 850 feet long to get 260 vertical. Another relic of the past, the single chairlift, has all but disappeared. Mad River Glen in Vermont is the lone Eastern curmudgeon (they also forbid snowboarding) with Lift 1 that opened in 1948 and is still operating. The Sheridan Ski Club keeps a single chair running 1,800 feet up the flanks of Mount Eyak near Cordova, Alaska. Originally in Sun Valley, it came north in 1974 to work alongside a rope tow. A number of Eastern mountains have retained their J-bars. 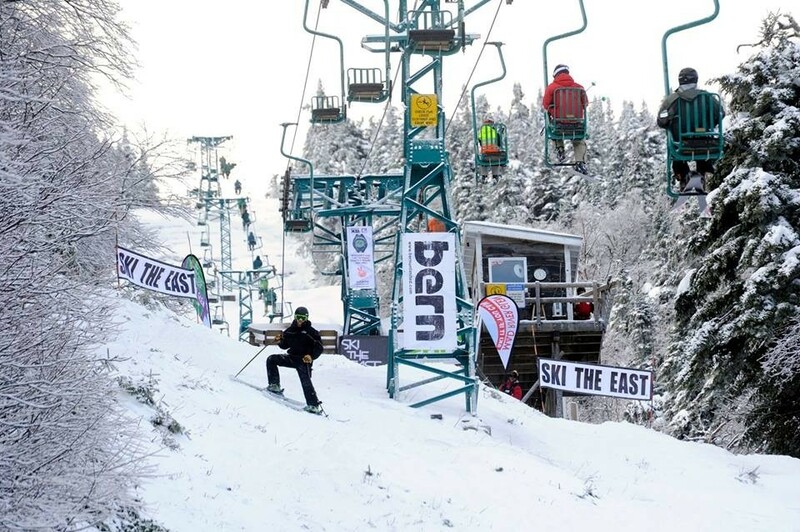 Black Mountain, Burke Mountain, Pats Peak and Suicide Six all have the fixed-grip single-seaters still on the hill, according to N.E. Ski History. Nowadays, a number of big resorts have gondola-chairlift combos. Detachable high-speeds, they ride the same cable and their ratio can be adjusted according to season, weather and customer preference. Find them at Sunday River, Sugar Mountain (N.C.), Telluride, Beaver Creek and Northstar California – with more in plans. The heated “bubble chair” has gotten some traction. The resort formerly known as The Canyons in Utah had the first, followed closely by Mount Snow. Okemo has one, as does Big Sky in Montana. Some resorts heat the seats in their gondolas. The only funitel in the U.S. is at Squaw Valley. It’s a detachable hybrid of gondola and tram, with a string of 20-30 person “cabins,” decked out with wood paneling and fine art, and suspended between two cables to fight winds. A latest fashion is the cabriolet or gondolita. Used to move people around the resort base, they shuttle small groups in open or enclosed gondolas back and forth on a single cable. Winter Park and Park City Mountain have cabriolets, and Taos Ski Valley just put in a gondolita. And, of course, there are the ubiquitous magic carpets in most beginner areas.